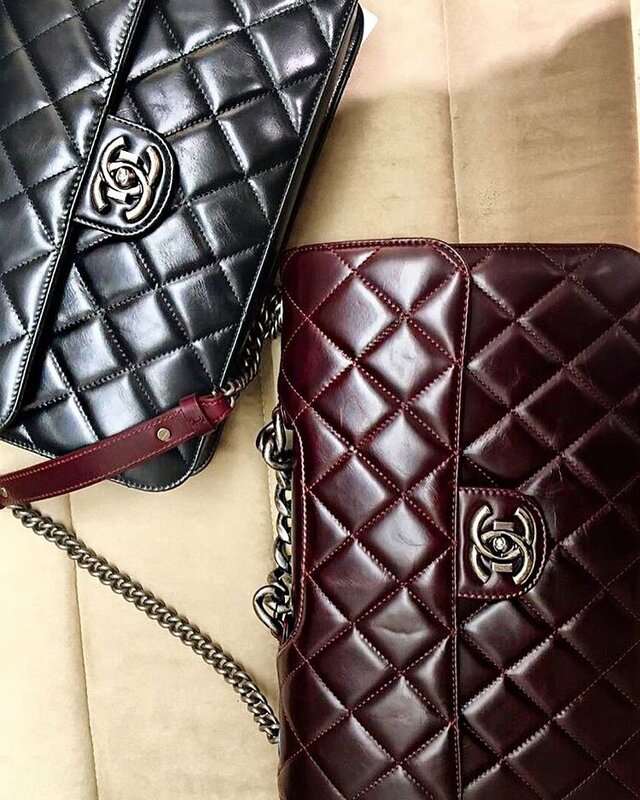 If you’re constantly having a love affair with Chanel flap bags, be filled with excitement and be over the moon with the latest and newest addition to the Flap Bag Club the Chanel Large Chain Flap Bag. We adore the leather used on this kind of flap bag since it appears to be shiny and glossy from a far and up close thus giving it a more polished look. The thick diamond quilting is another plus! Come on, who doesn’t love Chanel’s famous quilting effect? It’s exactly like the Classic Flap Bag, but with a twist. The chain is huge and is stealing the show. They’re like boy bag chains, very impressive. This flap bag can be carried like an envelope case for work, you can shorten the boy chains to make it like, a tote. Or you can make the chains bigger and wear it on your shoulder. Oh, and the large CC logo on the front flap deserves a standing ovation. We think its hunting time and you? 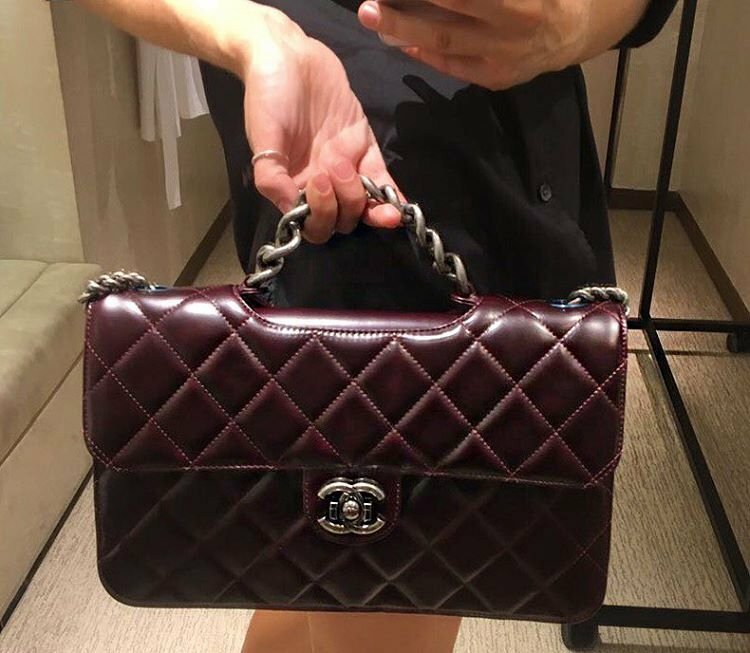 This bag is priced around €3300 euro via Chanel boutiques. A Chanel bag that’s chic, big and classy. The Chanel Large Bowling Bag, made with the brand’s classic quilted leather is one of the most versatile bags we’ve seen. This fall Chanel has reintroduced the Large Bowling Bag in the classic black, forest green and navy blue. We love how functional the Bowling Bag is. The bag comes with a chain shoulder strap which can be worn across your body when you’re carrying stuff for work. And when you are heading off for a weekend getaway in Phuket, and its a bit heavier, you can carry it like a small overnight bag with the short handle strap. A great bag for daytime activities that can be used for most occasions, whether it’s for work, travelling or going to the gym. J’adore!